This classic longall is made of snow white fine-wale corduroy. Choose to add a monogram or name if you’d like! It’s fully lined, 100% cotton. Snaps at the shoulders rather than buttons. Snaps at the crotch for easy diaper changes. Completely machine washable! Shipping Rate B- Fully Handmade (See shipping options at checkout). 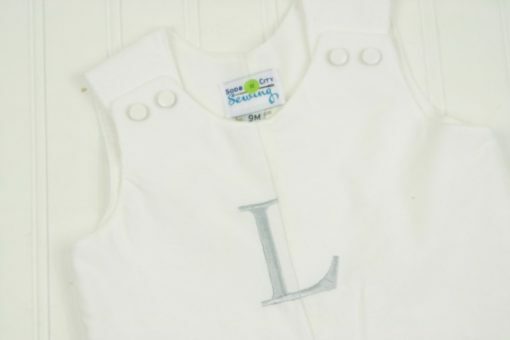 Our white corduroy longalls make a perfect baby boy Christening or Baptism outfit. 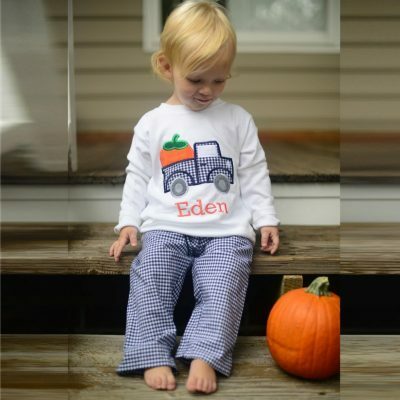 They are also very cute on a ring bearer or wedding guest to a fall or winter wedding! The soft fine wale corduroy is perfectly soft and comfortable but tailored enough for a very special day. The outfits look cute alone, with a t-shirt, or with a collared shirt underneath. 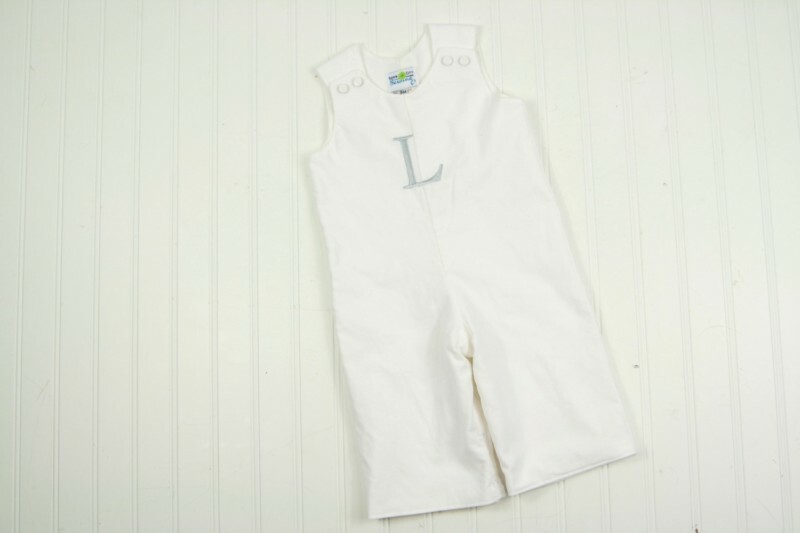 Change the look of the overalls with a different color and style shirt underneath for different occasoins. 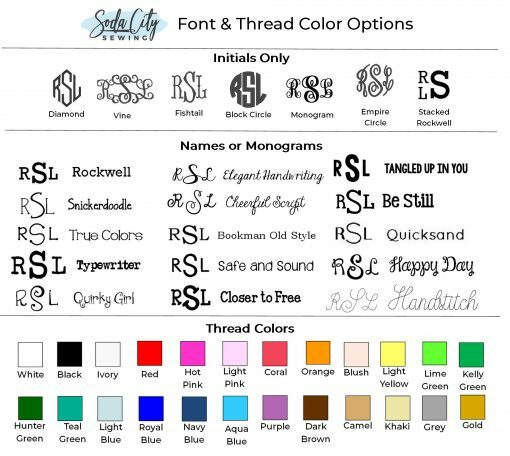 Choose to add a name or monogram in any thread color, or leave it plain. 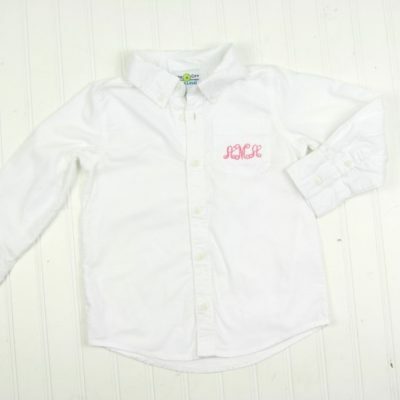 It has white snaps at the shoulders (rather than buttons- you’ll love the easy on and off, as well as the neat and clean look!) 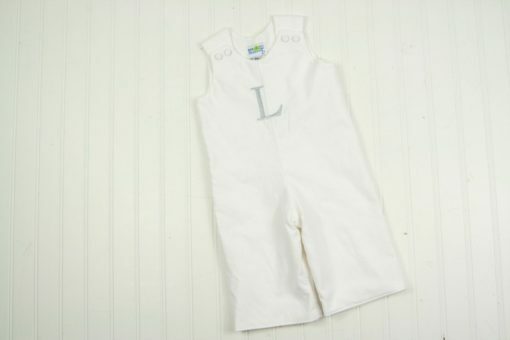 The outfit also sports snaps at the legs for easy diaper changes. 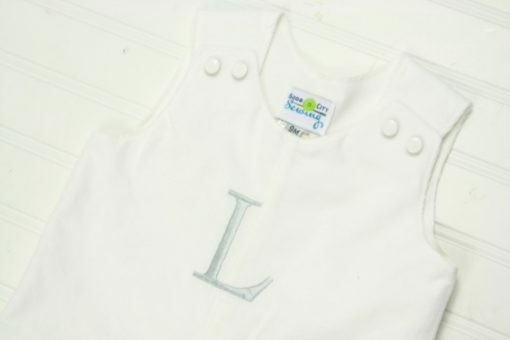 They’re fully lined in white fabric (unless ordered to be reversible). They’re completely machine washable so he can wear it again and again! 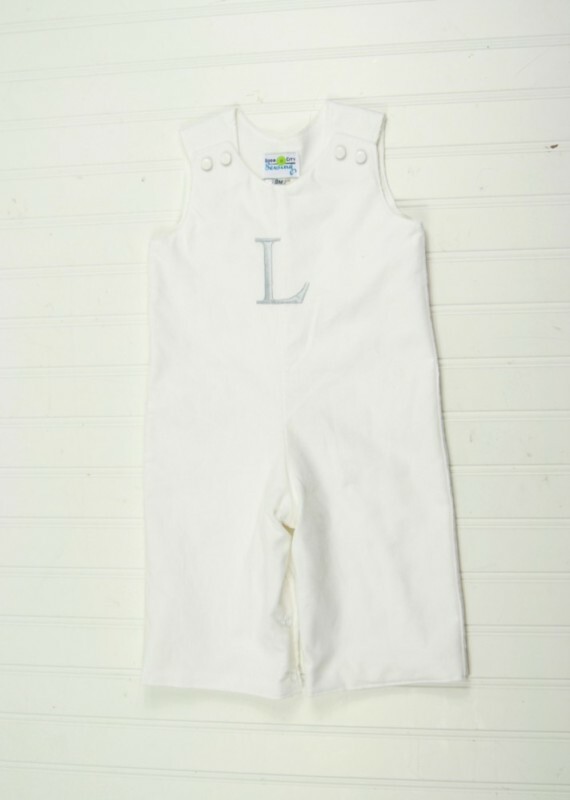 OPTIONS: You can order the outfit to be plain corduroy, or add a name or initials. Choose your options as you put the outfit in your cart. 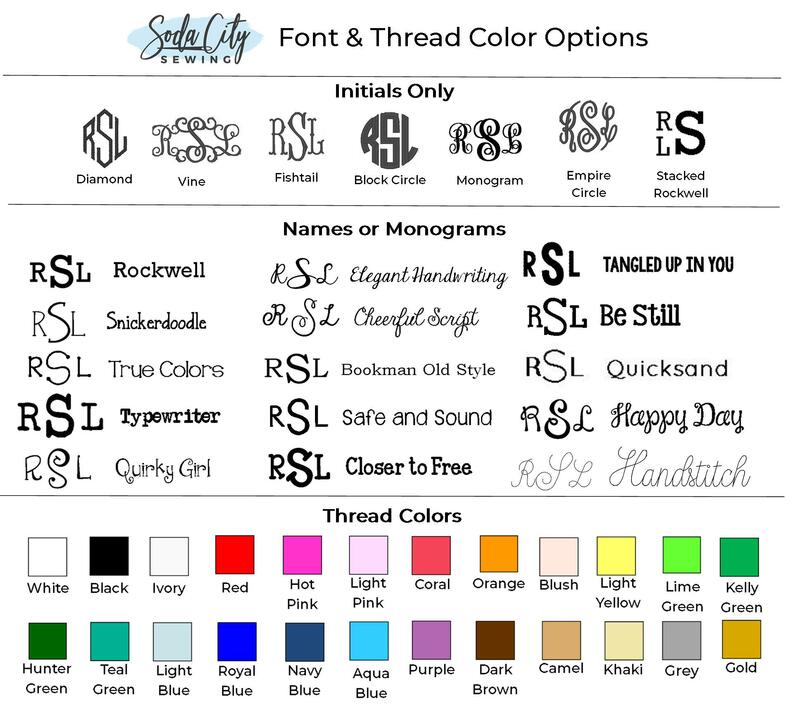 FONTS: Font Choices for the boys outfits are available in the last picture. Thanks for visiting Soda City Sewing, where we love to sew toddler and baby boy christening outfits just for you, in Columbia, SC!